Undergoing a knee surgery carries a lot of risks and potential long-term complications. In some cases, the problems could have been prevented, and so the patient could have a valid malpractice claim. If you suffered from a medical malpractice knee surgery in Maryland, your case might be directed at the surgeon or any other health care provider that assisted your case. With the help of a personal injury lawyer Maryland, you can prove the negligence of the medical team and receive the compensation you deserve. The knee replacement surgery is a procedure that involves replacing the end of the tibia with a metal stem and a plastic piece, the end of the upper femur with a metal cap and sometimes replacing or removing the cruciate ligaments of the side of your knee. If you experience any of these symptoms, contact your Annapolis injury lawyer and try to reach a medical malpractice settlement in MD. With the help of your Annapolis injury attorney, the case can either go to trial or reach a medical malpractice settlement in MD. But even if your case becomes a medical malpractice trial in Annapolis, you can still settle with the defendant(s) up until the end of the trial, before reaching a verdict. How to determine if you have a medical malpractice case? If your knee surgery did not go as you expected, this does not mean that you can sue your orthopedic surgeon. The medical malpractice happens only when the medical professional fails to keep up the medical standard of care under certain circumstances. If you suffer some of the side-effects of knee surgery, the chances are that your medical professional warned you about them before the surgery. If nothing extraordinary happens and causes nerve damage, the informed consent protects the surgeon from medical malpractice liability. If you are positive that the medical professional did not warn you about an individual risk that would have changed your opinion about the surgery, then you can sue for the lack of informed consent, with the support of an Annapolis injury lawyer. Be aware that you probably signed a form where all the risks of the surgery are listed. Medical malpractice is a complicated field. 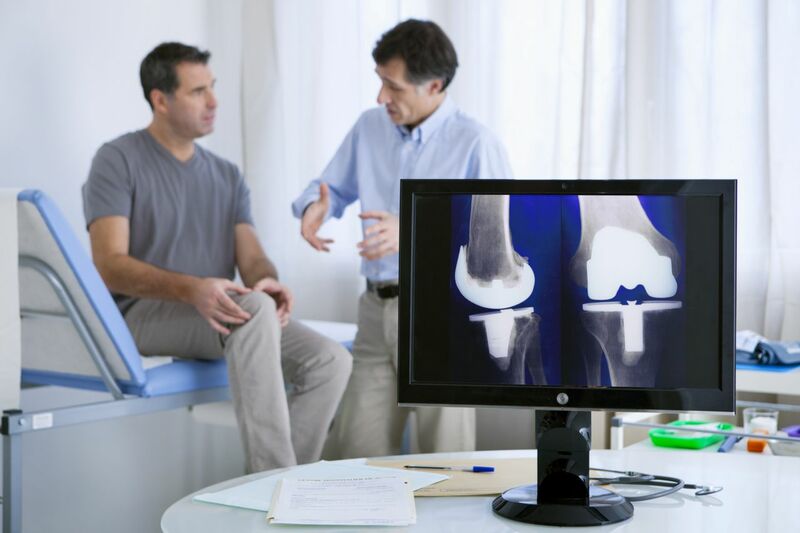 If you believe that your knee surgery is out of the ordinary and resulted in negligence, then you should consider contacting an Annapolis injury attorney. In most cases, the surgeon or hospital will want to reach a settlement, but in some cases when the doctor thinks they are right your case will become a medical malpractice trial in Annapolis. Contact the best personal injury lawyer from the Maryland area at (443) 569-3950 or by email: [email protected] for a free consultation of your case.